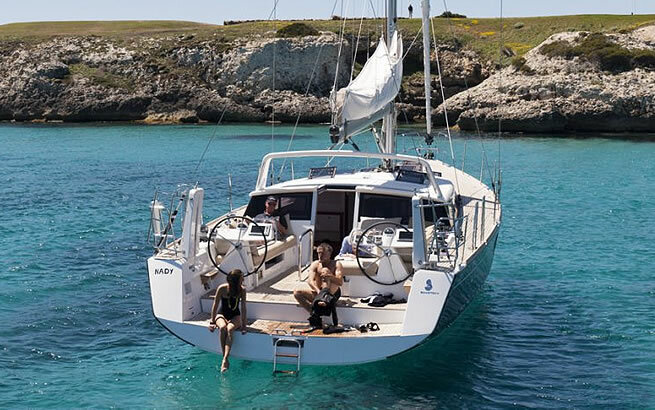 Escape for few days or set off to sea for good on board the Sense 55, a yacht that makes light of restrictions, on which you live and move about as simply as the wind fi lling her sails. 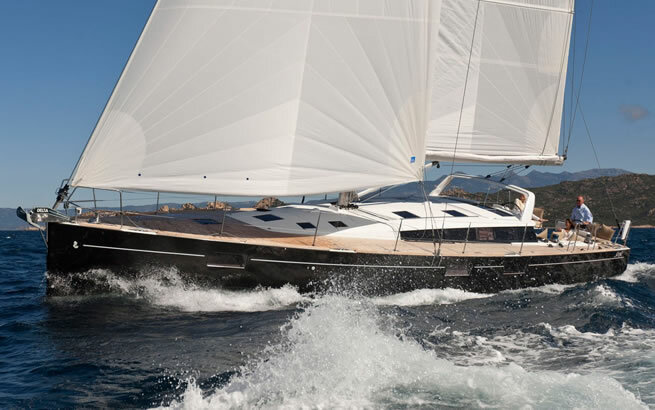 A fluid boat leaving you freedom in each movement and pleasure. 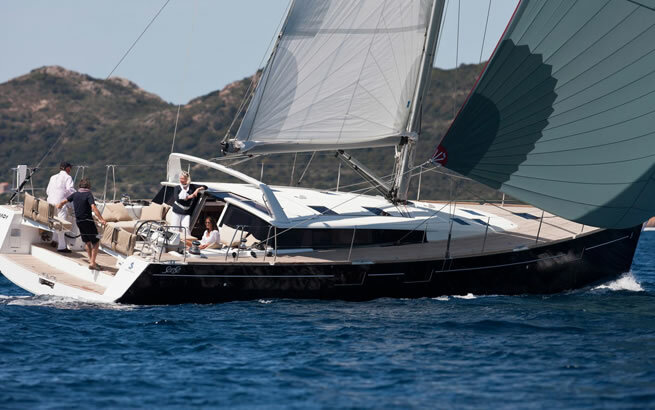 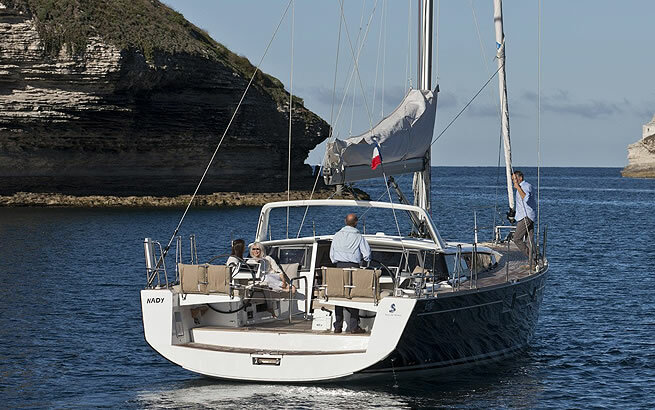 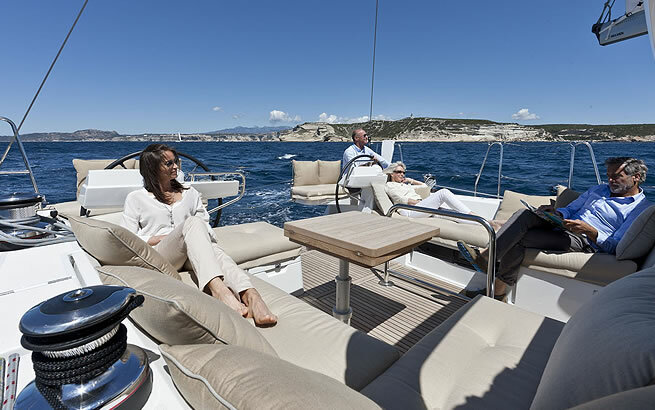 The Sense 55 is the flagship to the Sense range, Sense was introduced by Beneteau as a new concept in cruising in which all aspects of the boat have been completely re thought. 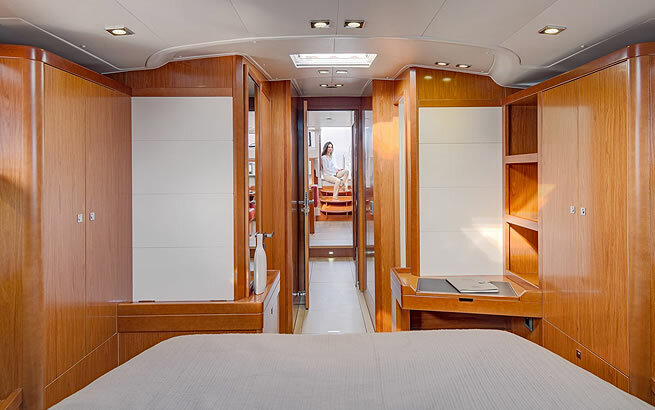 Life on board has been studied in terms of space, function and navigation and new hull shapes created, by some of the worlds top offshore designers, for increased stability, performance and sea keeping. 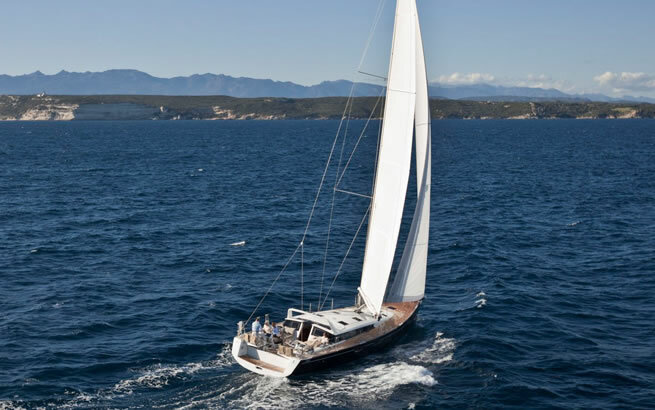 Sense is simplicity – simple to sail and simple to live aboard. 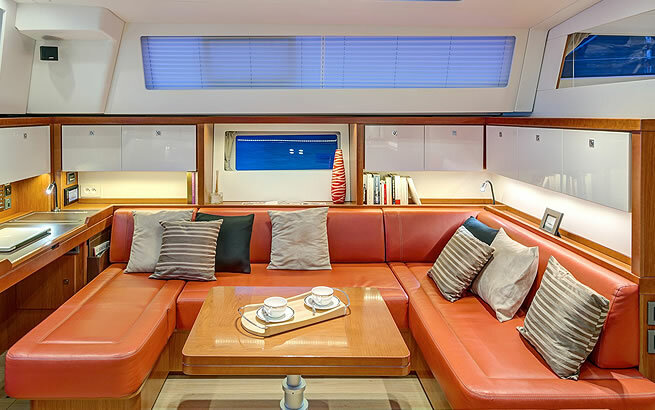 The 3 step 45 degree companionway connects the interior with the exterior with a flow unequalled on other monhulls. 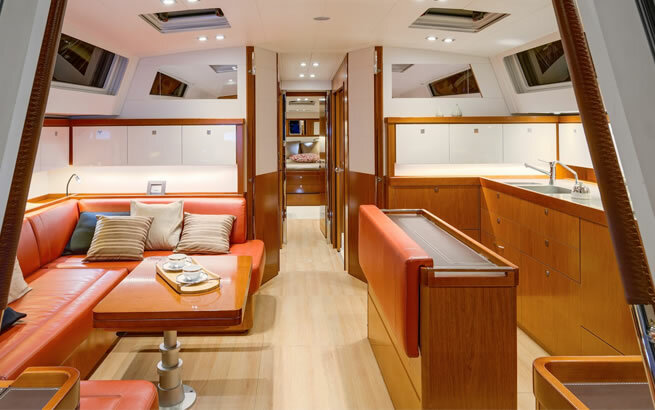 Luminous and elegant, with increased window areas allowing natural light to flood in. 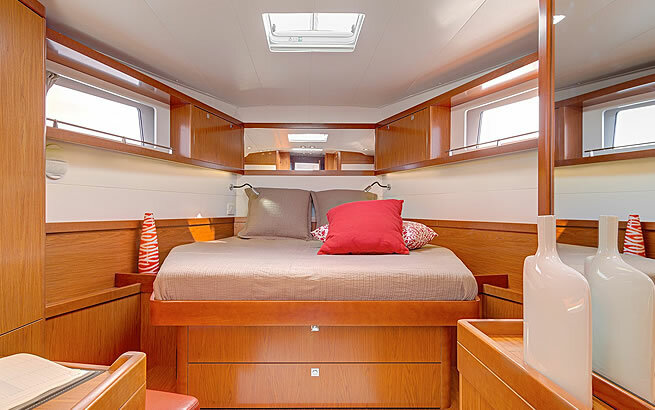 But not overhead to keep you cool. 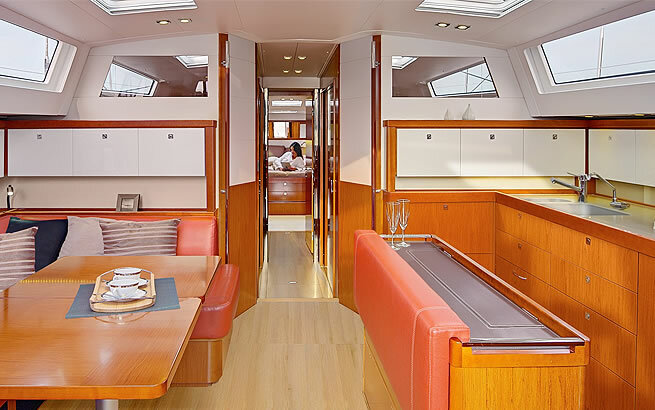 The window openings studied to increase ventilation, whatever the wind direction. 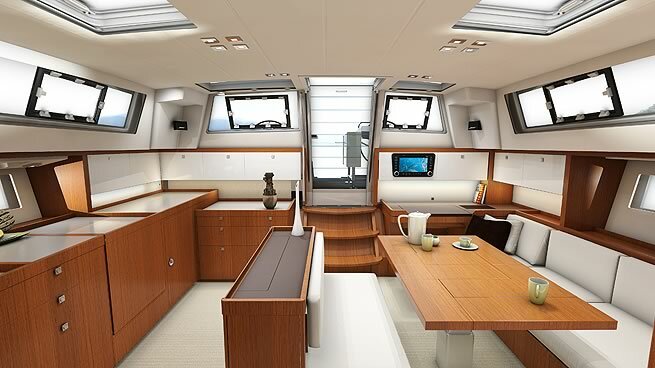 Available with the the revolutionary DOCK & GO system from Beneteau. 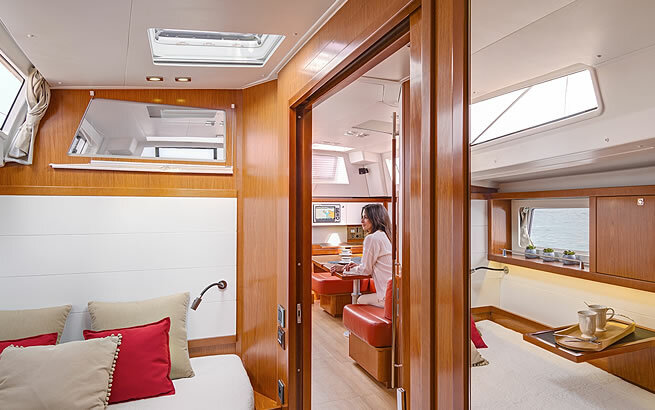 Thanks to its joystick, which synchronises a pivoting saildrive base and bowthruster, DOCK & GO allows you to manoeuvre the Beneteau Sense 55 calmly, whatever the wind and tide or port layout. 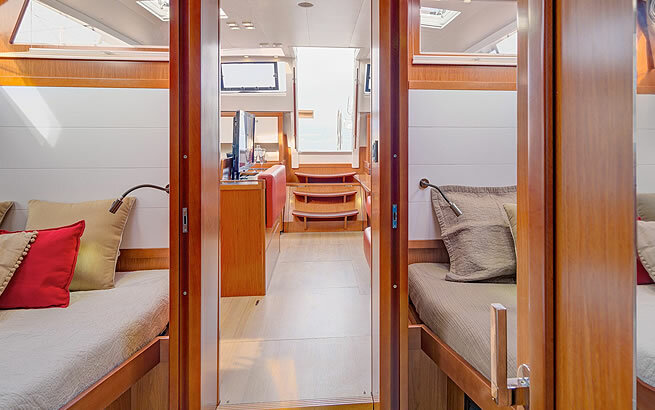 Uniting safety and thrust, DOCK & GO combines the assistance of the engine and bowthruster, giving the same thrust both astern and ahead. 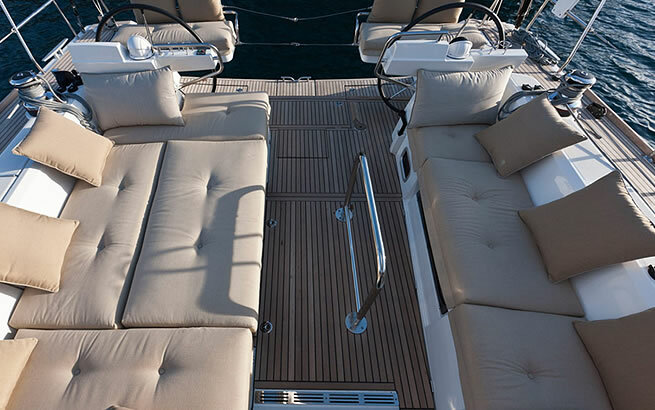 Compatible with feathering or folding propellers, DOCK & GO optimises a yacht’s thrust for all-round manoeuvrability.